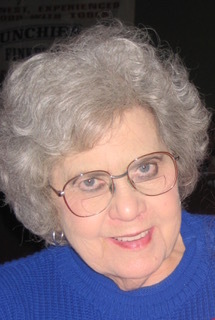 MARCELYN S. HINKLE, 88, died Thursday, Nov. 29, 2018. As a long-term resident of Auburn, widow of Loren (Bud) Hinkle and 40 plus year employee at Schaab Insurance, she was a fixture in the community she called home. Survived by her son Robert Hinkle, wife Cindy, daughter Darlene Brock, husband Dan and younger son, David Hinkle as well as five grandchildren, ten great-grandchildren, and four great-great-grandchildren. Her family, who treasures the faith in Jesus which was the legacy of their upbringing, will celebrate her life in a private event. They will do so believing that one day they will meet again in the land where tears will be no more. Condolences may be sent to the family at www.fellerandclark.com. Arrangements have been entrusted to Feller and Clark Funeral Home in Auburn.